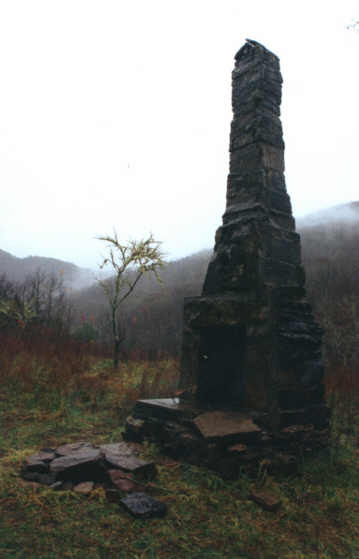 The first settlers in the Buffalo River country came primarily from the southern Appalachians and early records show they were establishing homes here as early as 1825. They were a rugged, self-sufficient group. They had to be. Those who find driving the winding mountain roads tortuous today might attempt to visualize what it was like to cross them with all you owned in the world loaded on a wagon pulled by a team of oxen and only vague trails to follow through the forest. For many, the river was their highway. It was the best route into the backwoods of Newton and Searcy Counties and they poled rafts up the White River, then up the Buffalo, searching for river bottoms that could be laboriously hand cleared with axe and cross-cut saw to establish farms and communities. Before them were the Native Americans, the first probably in the Paleo period between 20,000 and 9,000 BC. After them came those who would be known as the Rock Shelter people. Remnants of their occupation can still be found in south-facing bluff shelters. By the time the white settlers began pushing west into the Ozarks, they found it was the established territory of the plains tribes and there is established documentation showing the Cherokee, Choctaw, Fox, Kickapoo, Sack and Osage tribes either lived in or traded and hunted in the area. Towns sprang up early. Records show Jasper was an established town by 1840. One of the first residents was John M. Ross, a Choctaw, who became the first postmaster and was also the first county clerk, serving from 1842-1846. Ross became postmaster in 1843, when Jasper was made the first post office in Newton County. His salary for the year of 1845 was $7.09. Governor Archibald Yell signed the act of legislation creating Newton County from part of Carroll County on December 14, 1842. It is named for Thomas Willoughby Newton, who was United States Marshal for Arkansas at the time. Newton was born in Alexandria, Virginia in 1793 and came to Arkansas Post, the territorial capital, in 1818. He soon accepted a position as a mail carrier, serving a route from Arkansas Post to Cadron on horseback. By 1850, the population of Newton County was 1711 and the average price of 40 acres of land was $50. Towns began to spring up all over the Buffalo River area. Some were simply given the name of their first postmaster, like Carver, Cassville, Cowell, Snow, Wayton, and Wilcockson. Others have names linked to the Bible or to ancient times like Parthenon, Ben Hur, and Mt. Judea. Some took their names from landmarks like Marble Falls, Falling Water and Red Rock. And, some of the names were whimsical. Fallsville's first name was Loafer's Glory, because it was the stopping off place for men going back and forth to the Arkansas River bottoms to pick cotton for some cash money. Bartering was more common then cash and trading surplus eggs and butter at the store for salt and sugar was the usual way of laying in staples. Hunting, fishing, and gardening, supplemented the family livestock in providing almost everything a family ate or wore. Spinning wheels were a necessity and someone in nearly every family had a shoe last for making boots. The rugged terrain kept Ozarks settlers isolated and it was an isolation that endured almost up to the beginning of World War I. They learned to make what they needed and the old skills have survived. Oak furniture, handcrafted baskets, and pieced quilts were some of the homemade things every cabin had and which Ozark artisans still craft with pride today. Before the advent of tourists and television, there were speech patterns, songs, and traditions carried into the hills and preserved. For instance, it was not uncommon 40 years ago to hear people use the term "play pretty" instead of toy, a term that dates back to Elizabethan England. Ozark historian Vance Randolph chronicled many of the old superstitions, sayings, and songs in his books in the 1940s and 1950s. 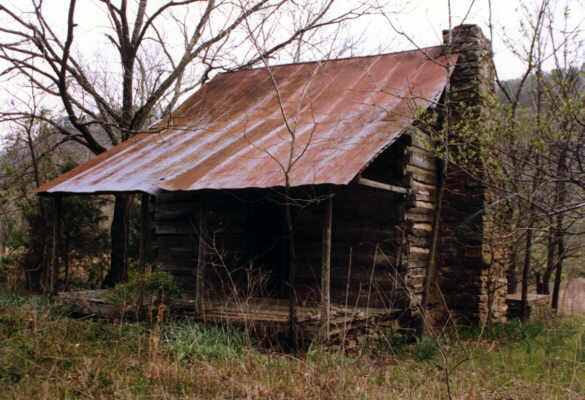 Despite their isolation, the early settlers were not untouched by the Civil War. Several skirmishes occurred in the area and many families have handed down stories of "bushwhackers", partisan outlaw gangs. The Confederacy had a saltpeter works at Boxley and one of the best-known local battles occurred when a detachment of First Iowa Cavalry captured and destroyed it on January 12, 1863, taking 17 prisoners and seizing two steam engines, three boilers and seven cast iron kettles. During fighting at Jasper, Union soldiers hunting for the famous Confederate guerrilla leader John Cecil, burned the town to the ground. In the post-war years, communities grew and schools and churches were built. In Newton County, where now there are four schools, there once were more then 100 one-room schoolhouses. Teachers walked from wherever they lived to teach and, if it was any distance, boarded during the week with one of the local families. At the turn of the century, a mining boom provided employment for hundreds as lead and zinc were taken from the hills. Later, lumber camps were the large employers as tons of stave bolts were cut. Many older residents can remember growing up in the tents of logging camps. Rural electrification came to the area in the 1930s and one of the greatest changes it brought was the radio. The outside world had found the Ozarks at last. Weather in the Ozarks is as diverse as the scenery and can change dramatically. The average temperature in the winter is 40 degrees and in summer is 80 degrees, but temperatures can range from an average low of 32 to an average maximum of 92. Annual rainfall is approximately 45 inches and annual snowfall five inches. The Ozarks are among the oldest mountain ranges on the planet. The rocks are marine sedimentary rocks, meaning they were originally deposited as grains of sand, bits of shell, flakes of clay, or particles of mud in and near an ocean that covered this whole region at times. The rock layers were deposited one on top of the other through time, resulting in an ordered arrangement that allows the relative age of each layer to be easily documented. The oldest rocks are Ordovician age (505 to 438 million years ago). The Ordovician age rocks are found in bluffs, streambeds, and flood plains of the major streams. These rocks represent lagoons, barrier islands, beaches and shallow ocean environments. Between the Ordovician and Mississippian Periods, the area alternated between dry land and ocean several times. Sediment was deposited when the ocean was present and erosion occurred during dry-land times, removing almost all of the rock layers before Mississippian time (360-320 million years ago). That period saw a rich dry-land ecosystem of plants and animals to the north and oceans of equally abundant life in this region. The Mississippian age rocks represent continental shelf and near shore marine environments. Frequently richly fossileferous, they are light to dark gray limestone often with abundant chert, black shale and a few sandstones. The rocks deposited during the Pennsylvanian Period (320 to 286 million years ago) cap the mountains and are mostly brown, yellowish, or rust colored sandstones and siltstones and tan to black silty shales. These rocks represent sediments deposited by ancient deltas and river systems along the margin of a sea. Toward the end o the Pennsylvanian Period and continuing for several million years, a continental fragment collided with the ancestral North America. This collision pushed up the Ouachita Mountains to the south and warped the Ozarks out of the ocean for the last time.